Edgerton Elementary School is comprised of one half day "Young Fives" Kindergarten, Two all day kindergarten classes, two sections second, third, fourth, fifth and sixth grades. Edgerton Elementary Library serve the literary needs of the students. 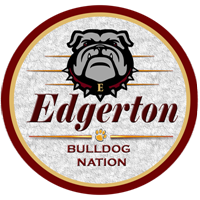 Edgerton High School is comprised of grades 7-12. The Edgerton High School Library not only tends the reading needs of the students but is home to NOVA (Northwest Ohio Virtual Academy), College Credit Plus and Credit Recovery. We have a nice variety of AP (Advanced Placement) classes offered at the high school level as well.